These booklets contain individual chapters from the Questions of Life book, designed to give guests who have missed one of the course talks. Qol Why And How Should I Tell Others? 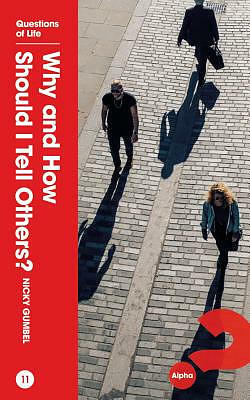 by Gumbel, Nicky. was published by Holy Trinity Brompton in June 2017 and is our 30980th best seller. The ISBN for Qol Why And How Should I Tell Others? is 9781909309692. Reviews of Qol Why And How Should I Tell Others? Be the first to review Qol Why And How Should I Tell Others?! Got a question? No problem! Just click here to ask us about Qol Why And How Should I Tell Others?. Details for Qol Why And How Should I Tell Others? Author / Artist Gumbel, Nicky.